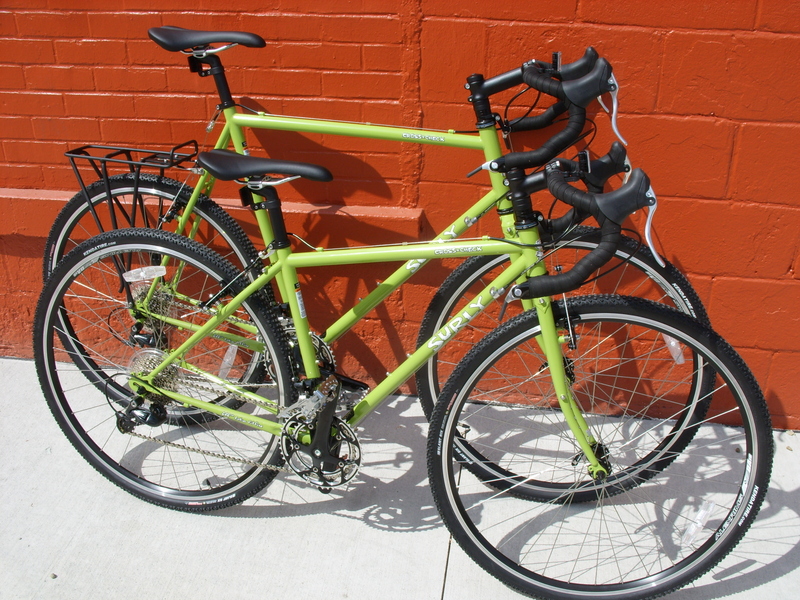 We sold a couple of Dahon Speed D7s last week. This was our first look at the tangerine color, pretty schnazzy! 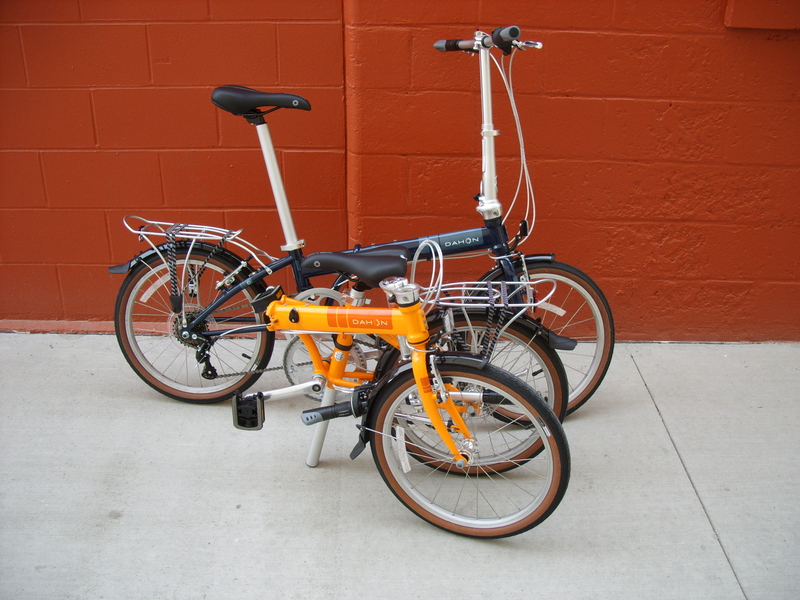 We sent a Dahon folder on a mission to Chicago via MegaBus last week also and for the first time it was denied by the bus driver. No amount of bribery or sweet talking could secure passage for the most useful piece of luggage on the planet. Apparently Trailways is not so biased against multi-modal sustainable transportation options and they allowed the trip to proceed. So, if you are a folding biker consider checking Trailways that before booking your trip. 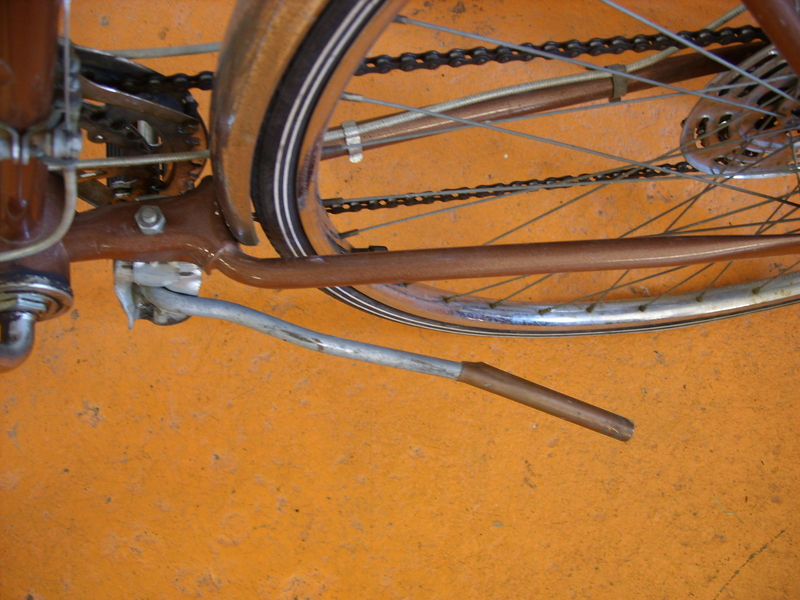 One upping the stickstand we reported on in May of 2009, the copper pipe kicker extension! Bonus points for matching that frame color. 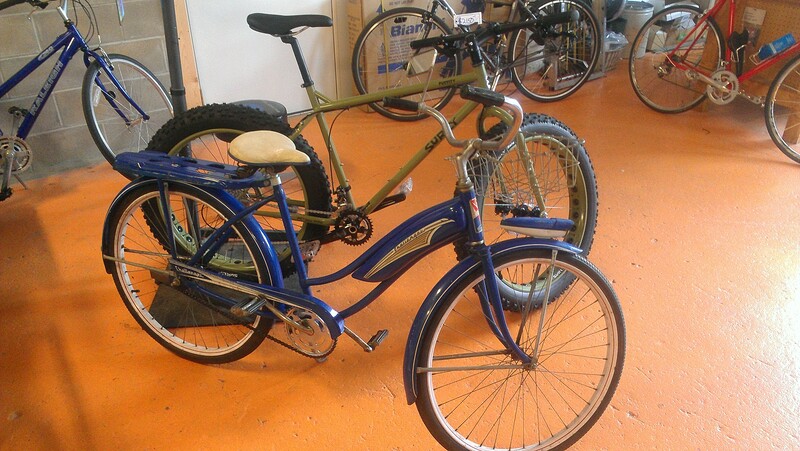 Whatever size bike you need, there is a good chance that Surly makes it. Here we have a 42cm and a 62cm Cross Check. Our bike fit experts had to bust out the calipers, levels, plumb bobs, beers and astrology charts but it looks like we once again got the right size bike to the right rider! Be happy, ride Surly. The other a lot of beards. All of those things are okay with us. 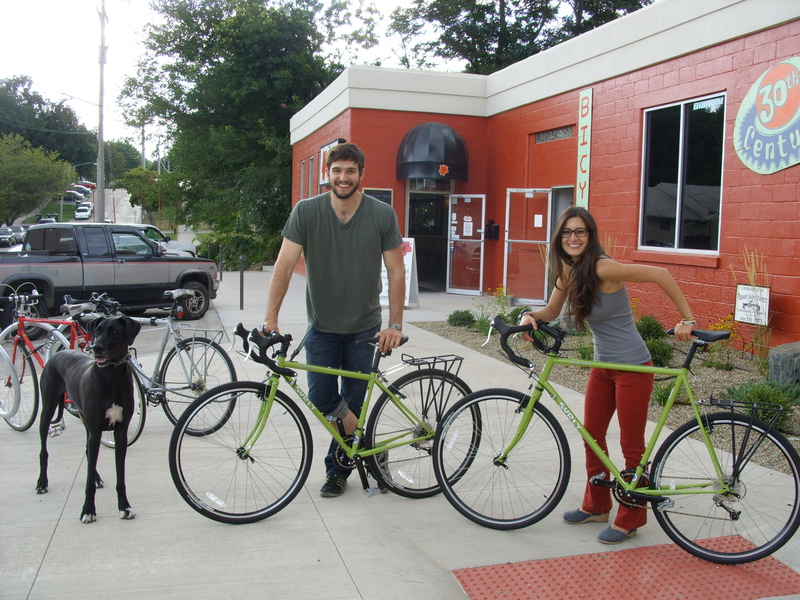 A bike shop, like most businesses, provides goods and services for payment. Usually cash money. But sometimes we get paid in beer. Or organic vegetables. Or a Gogol Bordello concert. Mike Ward and his moustache stopped in the shop yesterday on his Nice Bike looking for a good 2 hour plus road loop around Iowa City. So we busted out the maps and sent him on his way down around Sharon Center way where he could check out some quiet roads and maybe see a horse and buggy or three. In return he put us on the list for their show at Blue Moose. 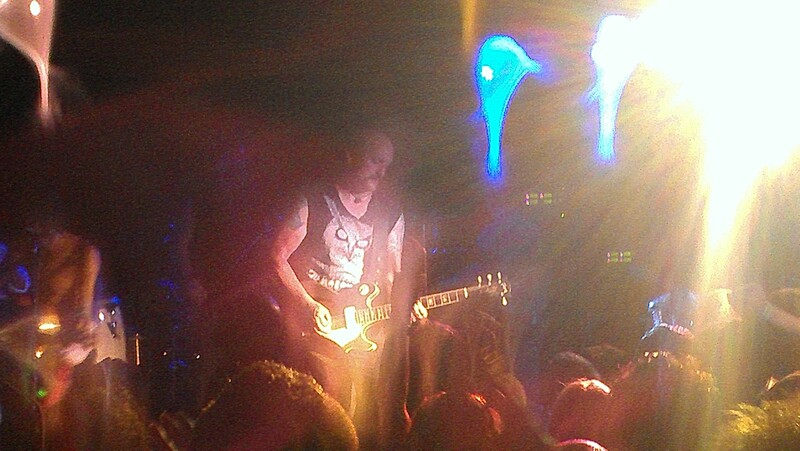 Thanks Mike, it was a sweaty blast!